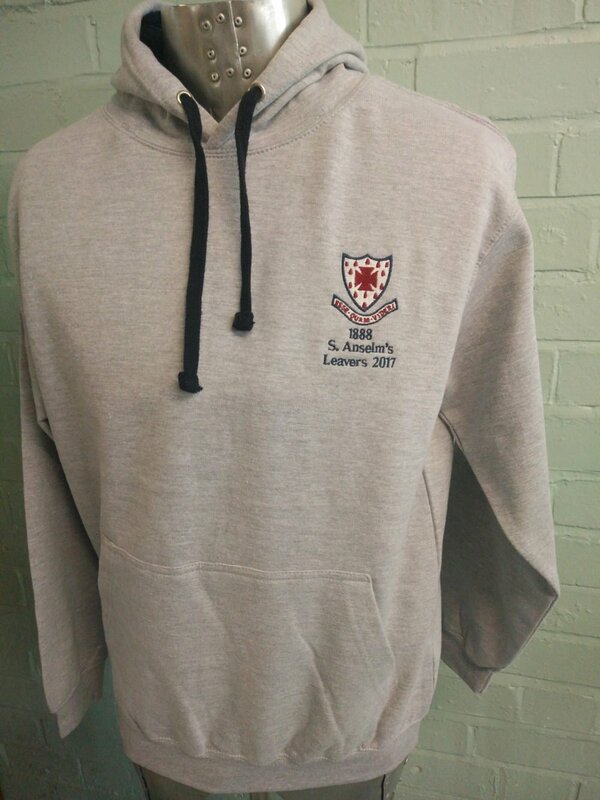 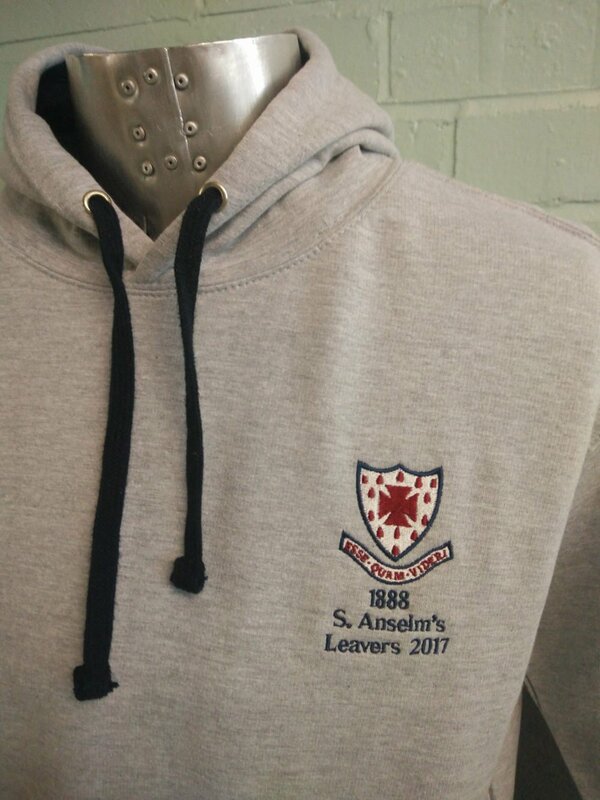 These are for S Anselm’s Leavers 2017 in Grey Marl. 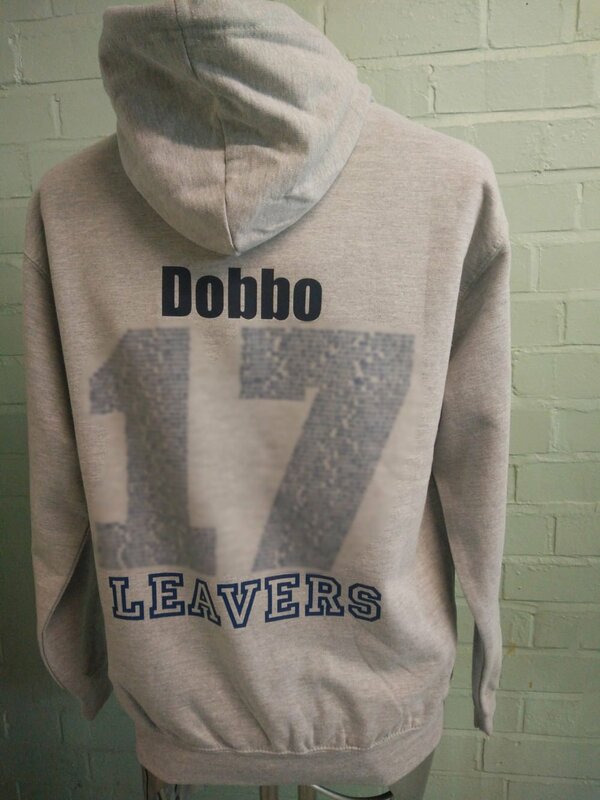 These duo colour custom hoodies have a custom embroidered logo on the front and leavers print on the back. 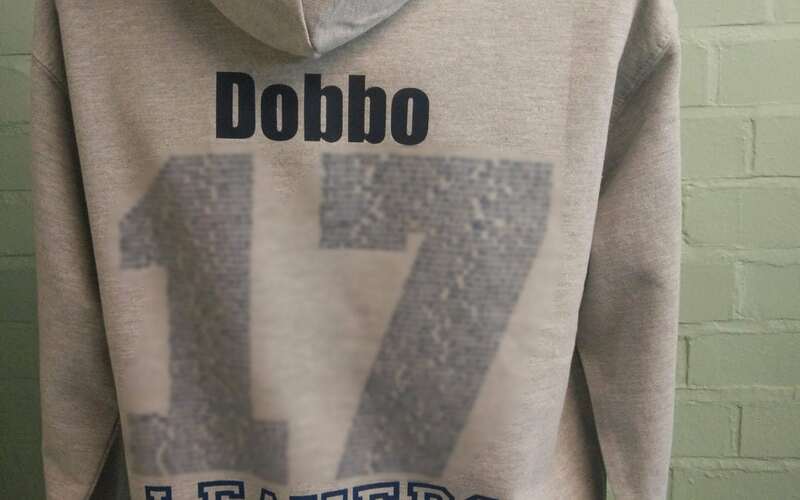 Duo colour with black inside the hood and black strings.